Chinese telecoms and computer network giant Huawei Technologies is to invest £1.3bn in expanding its UK operations. 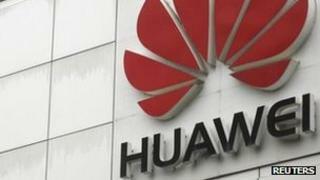 Huawei is to invest the funds in areas such as mobile broadband over five years, creating up to 700 new jobs. Prime Minister David Cameron said the investment demonstrated that the UK is "open for business". The company's overseas expansion plans have been met with suspicion in the US and Australia amid concerns about cyber-security. Earlier this year, Huawei was barred from bidding for a new nationwide broadband installation project in Australia. Mr Cameron said: "The investment announced by Huawei today demonstrates once again that the UK is open for business. I welcome this and I want to see more companies invest in the UK as we work to achieve sustainable and balanced growth within our economy." The Chinese firm said that it already employs over 800 people in the UK. Huawei was founded in 1987 by Ren Zhengfei, who had previously served in the Chinese army, and remains a private company. "The UK is one of the most important European markets in which Huawei has invested," said Mr Ren. ''The UK is a centre of innovation, has a highly skilled workforce, and is respected internationally for the quality of its legal and educational systems. It is for these reasons we have selected the UK as the location for a number of our centres of excellence."